Have you ever wondered what that little gold rectangle on your passport cover means? It’s the international symbol for a biometric passport, which are also referred to as e-passports or digital passports. 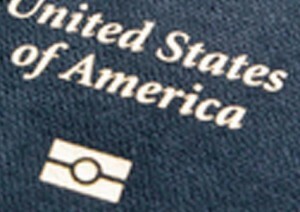 Biometric passports contain a small computer chip that holding digital information that can be read by scanners at border control stations at international airports. The “Six Month Rule” – Is your Valid Passport Really Valid? Should you Add Pages to your Passport or Renew it?